After a week of wonderful weather in Turkey, I headed down to West Dorset to some of the worst rain in living memory. 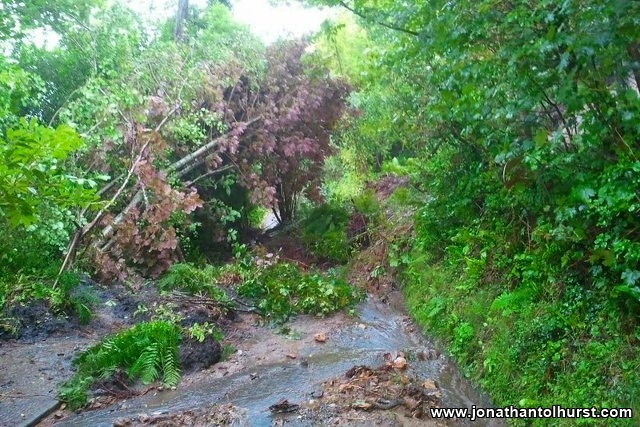 The road down to Fishpond Bottom was blocked completely by a land slip next to the old quarry. Train services between Exeter St Davids and Sailsbury were unable to run due to a landslip near Honiton (and South West Trains were apparently unable to organise a road replacement service) which meant that I had to get a lift up to Bristol on the Sunday and return to London on the Great Western line.